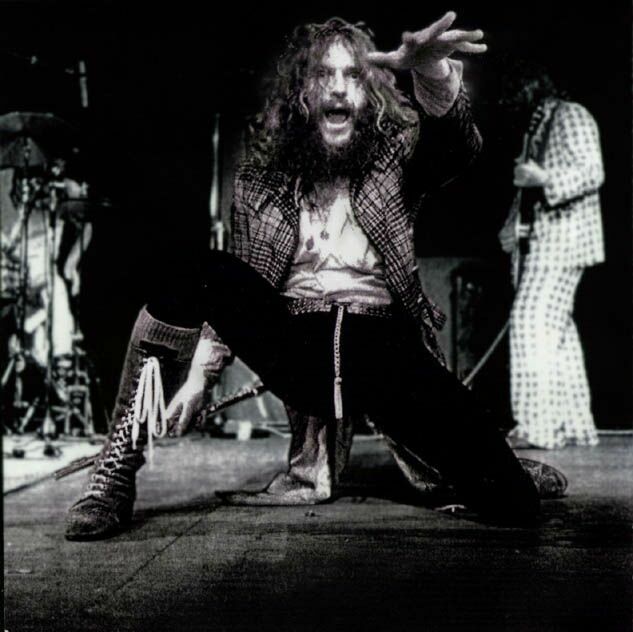 Jethro Tull. The very name conjures up images of a disheveled Scotsman wearing a mac, knee high moccasins, standing on one leg playing a flute or flailing around the stage while the band behind him plod away at self indulgent progressive minstrel rock that noodles aimlessly for hours. Fair enough, Tull get beat up by many as they wore out their welcome. They also became the very thing that Johnny, Sid and the punks hated. But, I’m here to state that before they went down that pretentious pomp rock path the band recorded several killer singles and three excellent albums that are as good, if not better, than anything else that came out at the time. Not only could Tull rock as hard as Zeppelin they also had clever wit and an intellect to their songwriting that required their listeners to think. 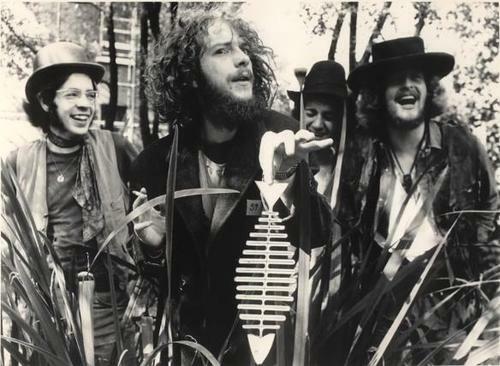 Tull started out as just another blues band that flirted with some psychedelia on their first single (“Sunshine Day”/”Aeroplane”). However, by 1968 the band were beginning to put the touches on something far different than your ordinary blues rock band. Having secured a residency at the Marquee Club they developed a following and word quickly spread about their wild flute playing singer and great, energetic rocking band capable of whipping an audience into a frenzy. Tull eventually secured an opening slot for Pink Floyd at their Hyde Park show on June 29, which led to a barnstorming performance at the Sunbury Jazz and Blues Festival in 1968. Tull’s reputation for red-hot live shows helped seal the deal for a record contract with Island Records. By all intent and purposes the first album, This Was, is fairly standard blues-rock. It’s a decent first attempt but only “A Song For Jeffrey” hints at the direction the band were headed. It is a fantastic tune that highlights Anderson’s superb flute playing, great harmonica and a hard driving rhythm from the rest of the band. The success of the first album and more scorching live shows brought them to the attention of The Rolling Stones who requested Tull’s company for their “Rock & Roll Circus” to be filmed in December 1968. Tensions, however, were brewing within the band and after one final recording session, the fantastic “Love Story” single, guitarist Mick Abrahams left the band to form Blodwyn Pig. A young Tony Iommi briefly joined Tull in ’68 for some immediate live dates and the eventual filming of “Rock & Roll Circus” (yes, that is pre-Sabbath Iommi playing guitar in the film!). Iommi soon left to form his own band and Davy O’List of ‘The Nice’ temporarily joined the band before Martin Barre eventually became their permanent replacement. 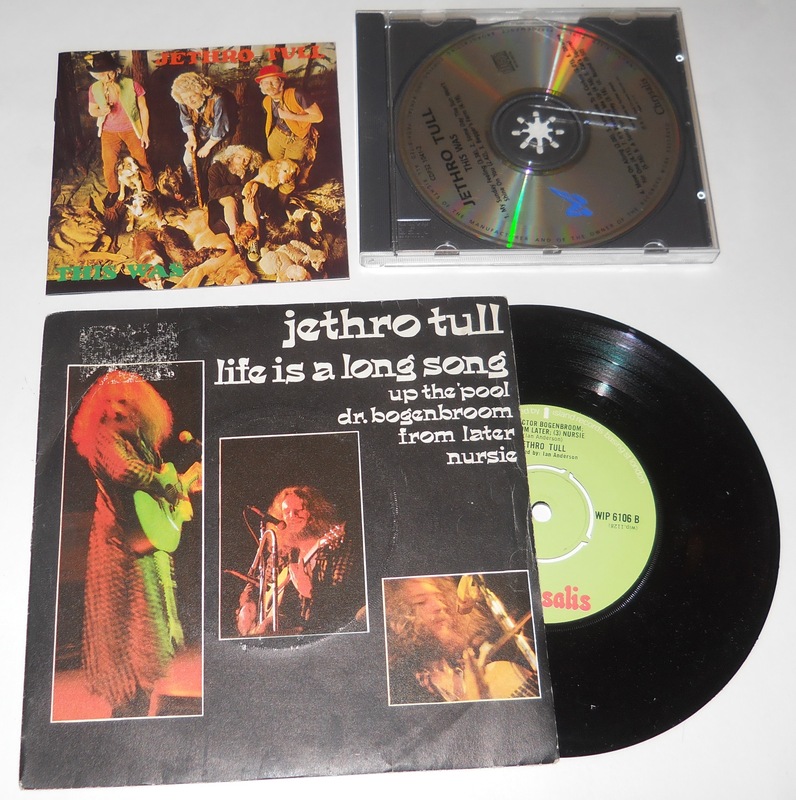 Barre’s first recording with Tull was on the single, “Living In The Past” B/W “Driving Song”. Both are superb non-album tracks with the former being one of their most memorable songs. The song highlights Anderson’s burgeoning songwriting talents and by the time their second album, Stand Up (1969), was released it had moved into a category all its own. 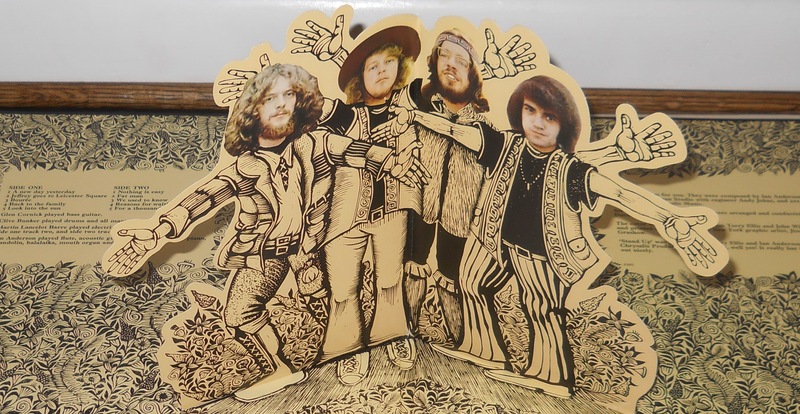 The album is housed in a beautiful gatefold sleeve featuring a fantastic woodcut of the band by artist Jimmy Grashow and pop up figures that “stand up” when opened. The songs on the new album were also more diverse than the previous record ranging from pummeling sludge rock (“A New Day Yesterday”, “For A Thousand Mothers”) to a reworking of Bach’s “Bouree in E-minor”. The album showcases not only savage riffs but there are also many beautiful, delicate guitar moments from Barre. The delicious fuzz on “We Used To Know” being just one of many moments where Barre takes control of the sounds around him allowing the song to explode off its canvas. Stand Up also incorporates Anderson’s perfectly timed flute and creative lyrics ranging from the ridiculous (“Fat Man”) to the autobiographical (“Back To the Family”) and touching (“Reasons for Waiting”, “Look Into The Sun”). This is an outstanding second album from a young band that were only beginning to find their own voice. 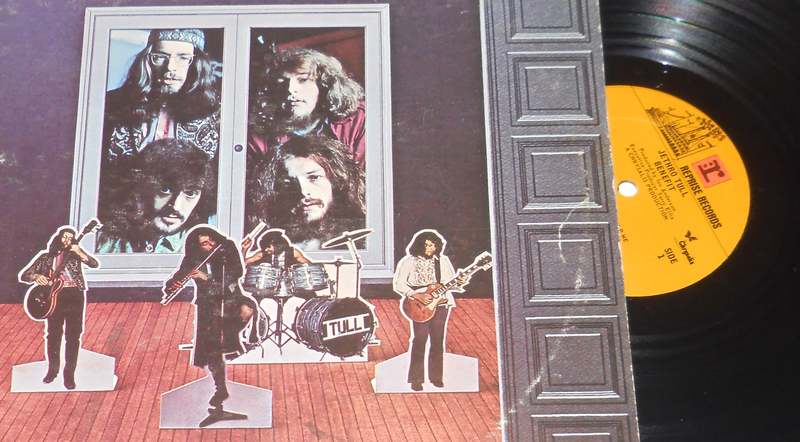 Next up for Tull was Benefit (1970), a devastating collection of ten hard rocking tunes. The album kicks off with the blistering “With You There To Help Me” that is amongst the finest songs they have ever written. It is 6.5 minutes of a slow build eventually erupting into a cacophony of maniacal laughter, wispy flute and a head crushing sonic assault. This was one of Tull’s greatest and most vicious rock songs, yet. It also sets the scene for what is to come and highlights a band that had found its rock and roll chops. While not all tunes thereafter have the same eviscerating effect as the opener, every song on the album is still a gem. Side one closes with the sublime ballad “For Michael Collins, Jeffrey, and Me”. The name “Jeffrey” appears a few times in Tull songs as a nod to ex-member, Jeffrey Hammond, who would later re-join the band. By the time the song arrives at its chorus it veers off and becomes a gentle ode to Mr. Collins, the forgotten astronaut on the Apollo 11 who stayed in the modular command ship while Armstrong and Aldrin walked themselves into history. Rock is what Tull do on this third album and side two opens with, “To Cry You A Song”, yet another smoking hot riff burner. Clive Bunker pounds the skins heavier and harder than ever and Barre continues to bend his strings and make his guitar wail like never before. It is, however, the subtle bit of controlled feedback at the 1’20 mark of “A Time For Everything” that, for me, sums up the album. In these few seconds of sheer genius a gorgeous white light of noise flows over the listener in a liquid bath of electricity. This minor moment that most listeners would probably overlook, symbolizes the creative spark that the band would hit with its next album, Aqualung. Before the end of 1970, Tull released another fantastic single, “Witches Promise” B/W “Teacher”, which charted very well. The band soon returned to the studio and began work on its new album. By December ’70, bassist Glenn Cornick had left to form his own band (Wild Turkey). Past member, Jeffrey Hammond re-joined for the new album, as did John Evans (piano). 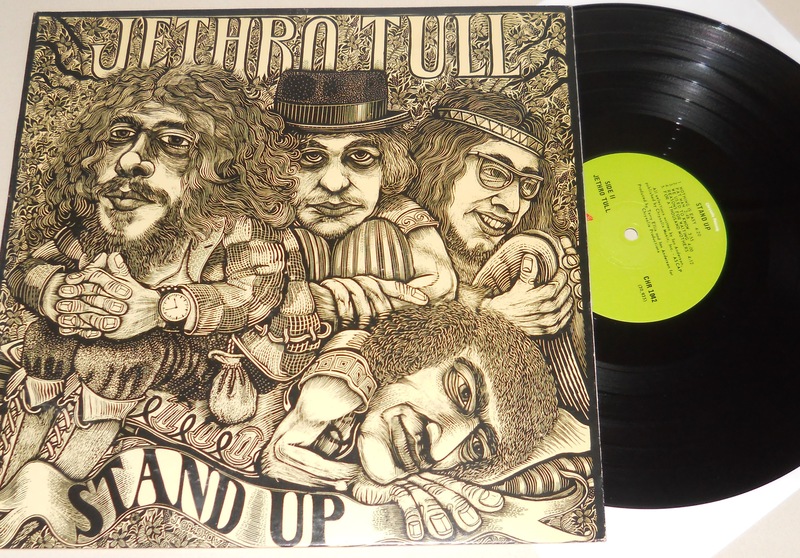 While both Stand Up and Benefit are brilliant and skillfully played rock albums what came next would arguably be Tull’s magnum opus. 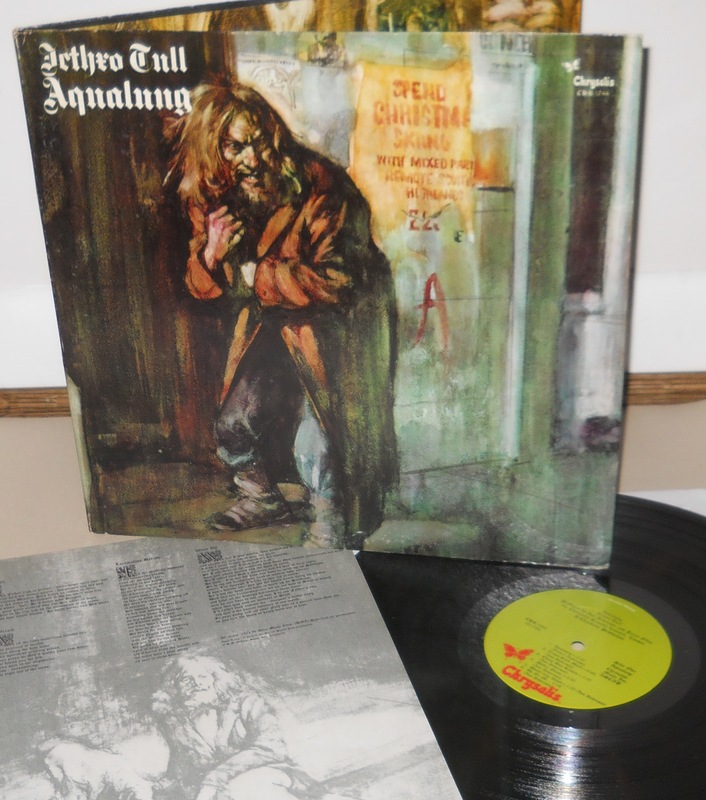 Aqualung (1971) is, in every definition, a masterful rock album that blends creative and often profound songwriting with inspired musicianship. The record tackles tough subjects such as homelessness, a teen prostitute, visiting a parent in their dying days and, the heaviest subject of them all…religion. It was the start of what would come, and in many respects, it was also the end of Tull. Anderson had always been a dominant figure in the band but his ego, creativity and wanting to tell stories moved the band away from more traditional “songs”. Conceptually and musically Aqualung is a huge album. Side one begins with Anderson’s dirty, creepy, tramp whose “snot is running down his noise” and is “eyeing little girls with bad intent”. It is a raw, visceral song that delivers a punch. “Cross Eyed Mary”, another bruising hard rocker follows and leads to the lovely autobiographical, “Cheap Day Return”, written after Anderson visited his ill father. The medieval fanfare of “Mother Goose” tells a surreal story of bearded ladies, chicken fanciers and a chap named, Johnny Scarecrow. It leads into the lovely “Wond’ring Aloud” only to close with the full blown heavy rock of “Up To Me”. It is a tremendous side of music that gets even better as one flips the record over. and the sins you wish to waive. as you lick the boots of death born out of fear”. Not one to win themselves many fans from the religious right in America! Despite protests from the heart of the Bible belt, “Hymn 43”, “would become a hit and Aqualung would go on to sell several million copies worldwide. It is a powerful album that mixes perfectly heavy rock with quiet acoustic numbers. The ballads work beautifully as a bridge between the album’s heavier, longer songs. Anderson’s songwriting is also outstanding on the record and as inspired as the previous albums were, Aqualung is a truly astonishing work of art. It is every bit as expressive, introspective, imaginative and skilled as a great painting or sculpture. The album demands its listener to think critically and at a higher level. As with any great work of art, one can find something new upon every listen. After the mighty Aqualung album and lengthy touring, more line-up changes ensued. The band would release one last decent 45 – the five track, maxi single; “Life is a Long Song”/”Up The Pool”/”Dr. Bogenbroom”/From Later”/”Nursie” (1971) that would be their last interesting breath. By 1972, Tull had moved on to Thick As A Brick, an entire album mocking the very critics who lauded Aqualung as a “concept album”. Thick As A Brick is, to be frank, a boring record with a long list of ideas all jam packed into one long meandering, self-indulgent art/prog rock song. After TAAB there were many more forays into theatrical concept rock or music played with both rock and classically trained musicians. Of course, this later era of Tull has many fans but by then, I had lost interest in the band and jumped ship. 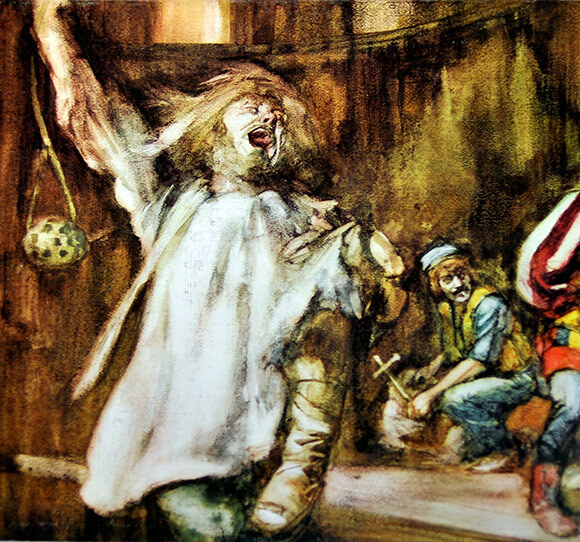 My purpose in writing this essay on early Jethro Tull was to point out to both wary and unfamiliar listeners that, given a chance, there is some extraordinary music on those early Tull albums as well as their various non-album singles. 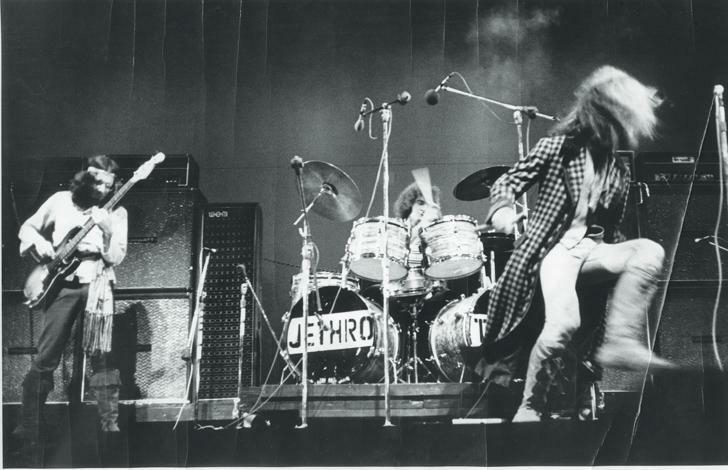 To those who know Jethro Tull, but haven’t listened in a while, it is also my hope that this article will make you re-discover the band and these three great records Not only has the music lasted the test of time but these are records that can, and should be, heralded as amongst the very best from rock’s golden age. Living In The Past (1972) – A double album that compiles all their great singles and non-album tracks ’68-71.